The kinetic sculptures of George Rickey are mesmerizing. Found on the lawns of both museum locations, these engineering feats perform an elegant metal dance with even the slightest breeze. The graceful movement requires a great deal of precision. If there is any weight displacement, or if any of the bearings aren’t properly lubricated, the “elegant dance” becomes more of a clumsy audition. That was the state of the museum’s three Rickey works. One piece in particular—Broken Columns—was in desperate need of attention. 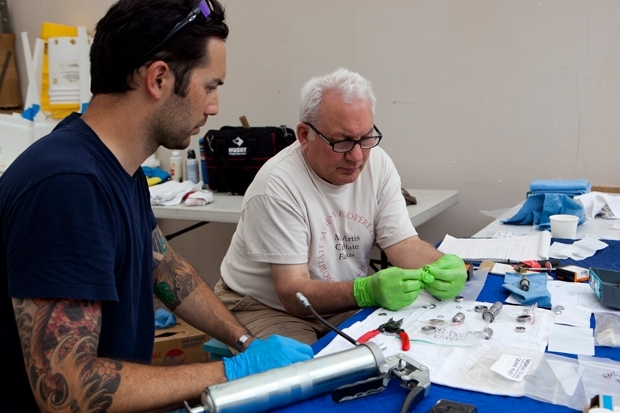 “The piece was non-functioning, in bad need of cleaning, repair, and servicing,” said collections technician Eric Walden. 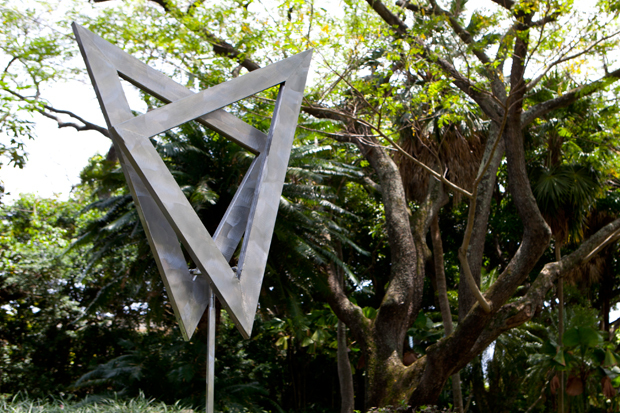 The museum contacted Thomas Podnar, senior conservator of sculpture, monuments and historic fountains at McKay Lodge Conservation Laboratory Inc. Podnar, who has worked on art across the country for 23 years, oversaw the move of Rickey’s Two Open Rectangles Eccentric from the Federal Building to the museum’s front Beretania Street lawn in 2011.